Bob Bosold has been with WAXX/WAYY since 1977 and has been the Farm Services director since 1983. 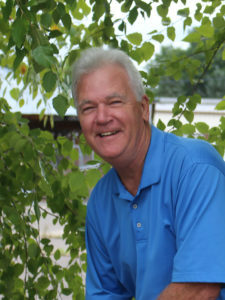 Bob covers farm programming seven days a week on WAXX and five days a week on WAYY, along with appearances on WEAU TV 13 weekday mornings at 5:20. He’s won virtually every award there is on a state and national level for his very popular farm broadcasts and community involvement. Following graduation from the University of Wisconsin-Madison College of Agricultural and Life Sciences, Bob worked as an assistant to Larry Meiller on Wisconsin Public Radio. On Valentine’s Day, 1977 he started his broadcasting career in Eau Claire in an area he considers major market radio for agriculture. His family farming roots are in western Iowa where some of his family still raise cattle, corn and soybeans. While his family moved to the Madison area when he was a youngster, Bob spent most summers on his uncle’s farm learning about and loving the farming way of life. Bob was married for 35 years to his late wife Dawn and they had two sons. Michael is now 14 years in the U.S. Army and served four tours of duty in the Middle East. Youngest son, Matthew, is a recent graduate of the University of Wisconsin-Madison in Communications and Marketing and is now working in the Madison area.